Tired of those pesky settlers walking in on you while you're using the bathroom? Worried Piper's going to find your copy of the Lusty Argonian Maid? Well, worry no longer! Now you can lock (and unlock, but why would you ever want to do that?) any door or container you wish! The original concept for this mod was created by kiko_97 on /r/falloutmods. I simply made the idea come to life. •Fixed a bug where you could "lock" workshops. 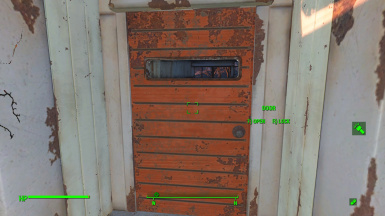 •Updated the "No Lock" FormList to include doors in Vault 111. 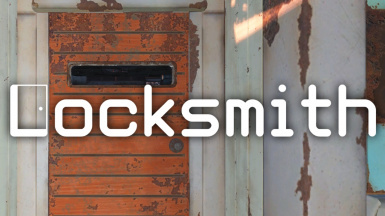 •Updated the "No Lock" FormList to include the levers used in Vault 111. •Added the ability to lock containers. •Removed the ability to lock doors that loaded into new interiors (caused some issues, unfortunately). •You can now only lock doors when they're closed (to add some tension if you're trying to lock a door in a hurry). •Added a "No Lock" FormList which prevents some doors and containers from being locked (to prevent bugs). If you're one of the five people who still play Fallout: New Vegas, you oughta check out another project I'm involved with, Fallout: The Frontier! Click the logo for more information.